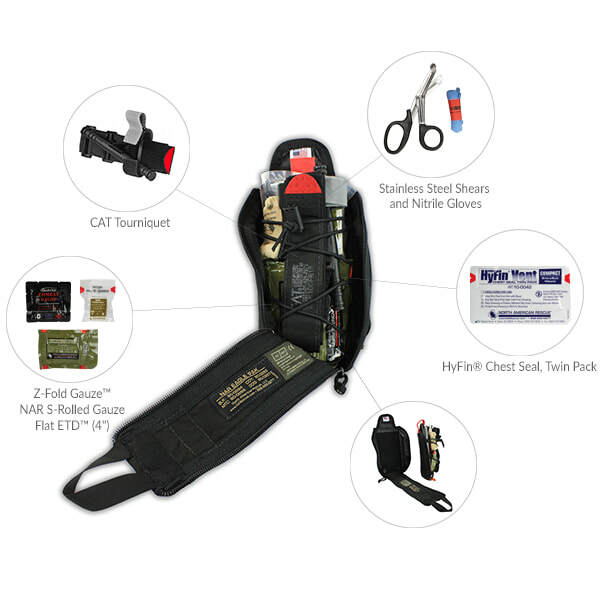 The NAR Basic Life Support (BLS) Eagle IFAK is a compact, versatile individual first aid kit that offers both MOLLE / PALS – style connectors to attach to the assault vest/body armor, and an upper or lower mounted 2.25” belt loop attachment to secure the kit in the high or low position on your duty/pistol belt. Sized as the smallest IFAK in the NAR product line, this innovative kit contains all of the essential basic life support equipment that is needed to address leading causes of potentially preventable death in a tactical environment. Featuring a Quick Pull Tab, the pouch easily opens to reveal the removable kit with just one hand. 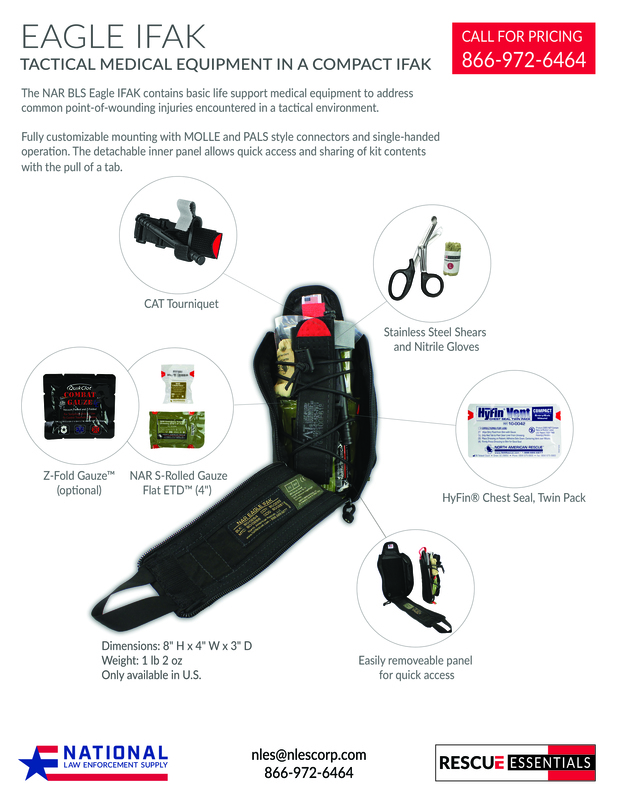 The kit has a unique, detachable, shock-cord inner panel that can be adjusted to carry different components and provides easy access to your IFAK contents by simply pulling the color-coded tab to remove the panel from the carrying bag. The compact size reduces the space requirement needed for an IFAK on your vest or belt. The BLS Eagle IFAK has the essential life-saving equipment for point-of-wounding and self-aid / buddy-aid care to address penetrating, blast, or other traumatic injuries.